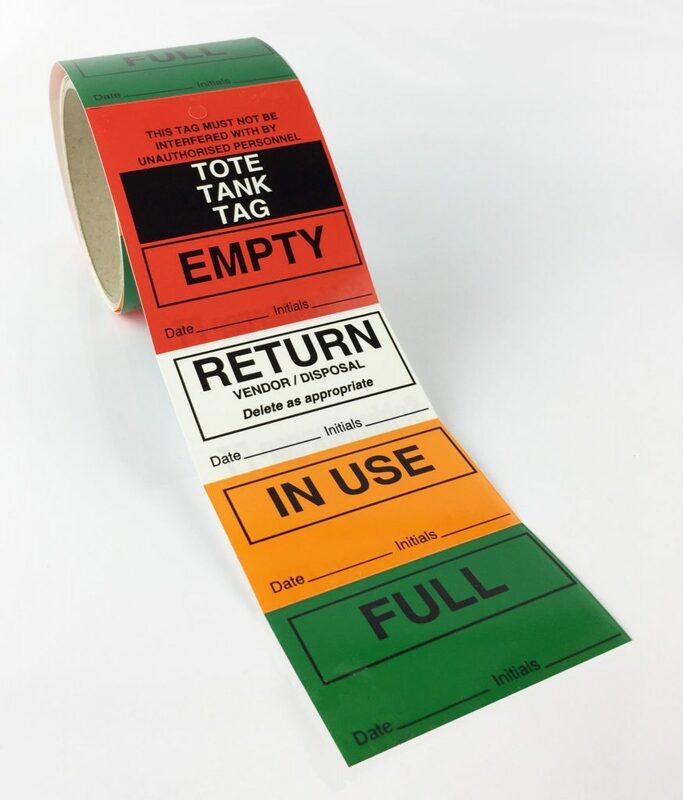 Tags can be an extremely versatile and practical alternative to standard labels. Hibiscus provide durable, bespoke printed, non-tear hazard tags that are ideal for attaching to things that need to be labelled and spend most of their time in harsh conditions or outdoor environments. They can be used as luggage tags, returned goods tags, damaged goods tags and storage cylinder neck tags. Tags can be printed either single or double sided and punched with a hole so that they can be easily attached to whatever you need to label. The beauty of tags is that they can be temporarily or permanently attached to greasy, dirty containers when self-adhesive labels just won’t stick. Hibiscus non-tear hazard tags are manufactured from an extremely tough, untearable material to ensure that they don’t get torn or damaged during transit or everyday use. 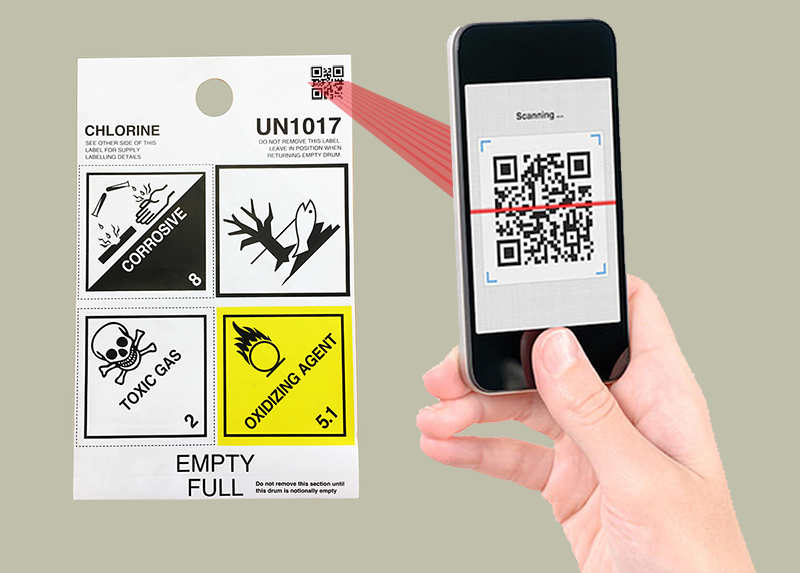 Many corrosive and caustic workplace chemicals are identified by hazard tags to warn users of their risk and enable them to identify specific dangers. Emergency response instructions – who to contact and/or what to do in the event of spillage etc. (does not replace any statutory obligations to include this type of information directly on the label). Product marketing – how and where to obtain your product. Re-Ordering and/or ordering for companion products. Information on classifications and chemical properties. Directions for use (of your product). Printed on both sides for clear cylinder status identification, gas cylinder hazard tags are a simple and effective system for highlighting the status of any hazardous material contained within storage cylinders. Perforated tear-off tabs to make the cylinder’s status instantly recognisable. Bilingual tags to accommodate a multilingual workforce. Tough and durable to last the life of the cylinder’s use. No pens or markers needed with pre-printed tags. 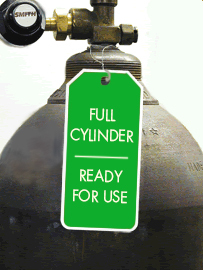 Can indicate the capacity of your cylinder. Choose from a range of colors and materials to suit your need. We have the right tag for every application.